Set mining in poker is one of the simplest strategies in the no limit hold’em playbook. It’s simple because it epitomises fit or fold poker; if you make your hand, play big; if you miss the flop, fold. This article lays out the fundamental principles of set mining, and how you can successfully integrate it into your game. In basic terms, a player is set mining when they’re dealt a small to medium pocket pair, and they invest a relatively small amount of their stack with into a pot with the intention of making three of a kind on the flop. Thus turning a medium-weak hand into a very strong hand, and ideally, a small investment into a towering pile of chips into the bargain. As on average we’ll only get dealt a pocket pair every 17 hands—and then only make a set every 10 flops after that—it’s important to know which situations lend themselves to set mining, and how to exploit our opponents to the fullest once we finally make our set. When are we set mining and when aren’t we? Technically speaking, we are not set mining when we’re the aggressor pre-flop. In these circumstances, we have the golden advantage of pre-flop aggression and based on flop texture and the tendencies of our opponents, we should be able to take down a good proportion of these pots with a simple c-betting strategy*. When we’re set mining, our primary objective is to make our hand on the flop, or fold. If we don’t make a set, any continuation play thereafter should be based on other reads from the game thus far. Why is set mining effective? 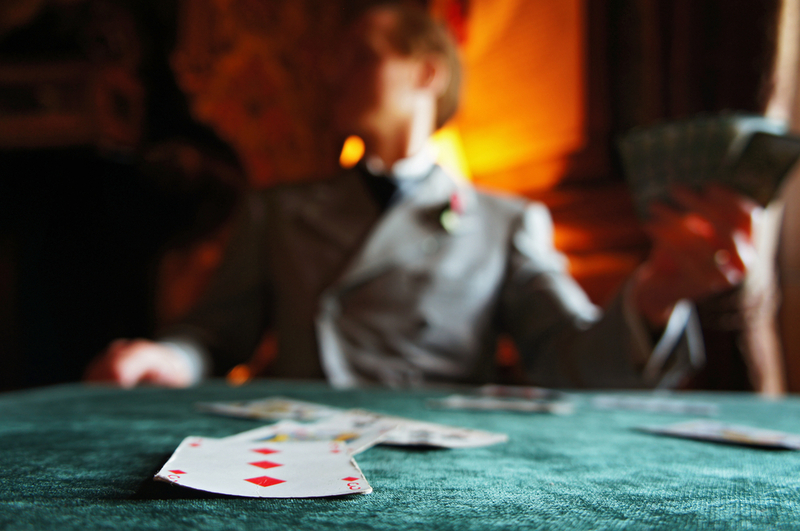 A flopped set is usually the best hand, and stands to improve or remain the best hand up until the river. This means that we can start building a big pot right away with the intention of playing for full stacks. A flopped set is very well disguised when hit. This means that players will struggle to put us on a hand and make it easier for us to take their chips on further streets. Especially in deep-stacked games*, a small investment pre-flop can yield huge returns when our opponents have stacks of 100bb or more. However, this doesn’t mean we should set mine with each and every pocket pair we get dealt. On the contrary, there are certain circumstances where set mining is actually a terrible idea, and these specific scenarios can be identified based on our implied odds. The odds making set poker are 8.5/1 (or 10.5%). Which means on average we will have to make back 10 times our investment for every set we flop. So, when we are lucky enough to get dealt a pair, it is very important to check that the bet we are facing can actually be covered tenfold by someone else we are up against in the hand. It’s no good calling a £30 bet to find ourselves the proud owner of a shiny new set, only to then discover that our opponent only has a measly £35 back. Sure, we’re likely to win the pot, but make that play 9 times more with the same odds, and we’ll be pumping a lot of dead money into pots with little promise of a big return. Things to be considered before set mining. Like virtually every situation in poker, being in position is a huge advantage*. This applies to set mining too. When playing in position you will have greater control over the size of the pot and you should certainly aim to set mine more in position than out of position. Conversely, it makes sense to avoid certain situations when playing out of position; specifically, playing small pocket pairs in heads up pots. Set mining can be a costly investment, and it is important to consider the strength of your opponent’s hand if considering a call out of position. If you defend too liberally, you may find yourself check-folding a lot of flops to c-bets without any real chance of making big money when you hit your hand. Knowing that your opponent has a strong-premium holding makes set mining very profitable. Whereas set mining against blind steals can be very costly in the long run.